Enjoy the top 1 famous quotes, sayings and quotations by Catherine D. DeAngelis. I am not against the pharmaceutical companies. I love them. That's not the issue. The issue is, in some cases, when they do these clinical trials, they control the data. They analyze the data. In some cases, they even write the article. And that leads to at least the perception, if not the reality, that there's a conflict of interest. Want to see more pictures of Catherine D. DeAngelis quotes? 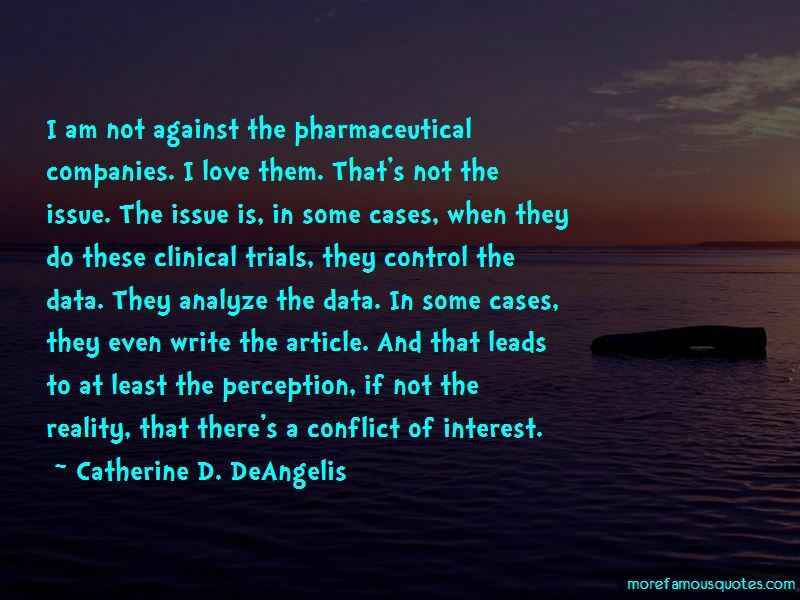 Click on image of Catherine D. DeAngelis quotes to view full size.